I cannot think of any reason ever why I would want programs or games I was playing to automatically fill my facebook feed with spam about my activities in the game. I cannot think of any such advert that would positively influence me towards such a game. 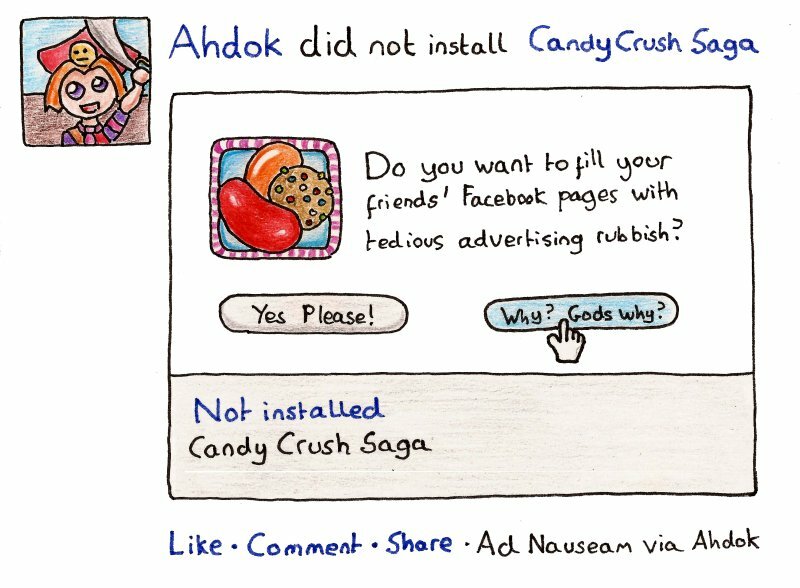 …Is that a web-self-portrait, as in, a drawing of your Facebook icon which is in fact a panel from this comic? I also think it’s a better icon.